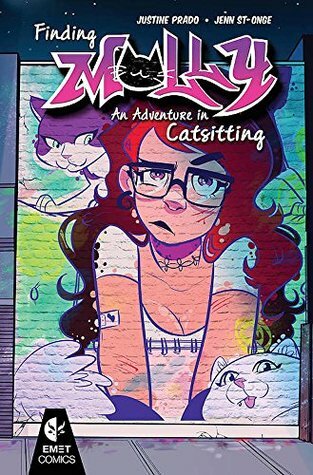 I am not a huge reader of graphic novels, but when the publisher approached me to review, I liked the premise of this story, so I decided to give it a try. On the whole, I'm glad I did. The story is wonderful and very true to life (speaking as a creative myself). It gets across some great messages in a fun and engaging way. The illustrations were great and I thought the story moved at a good pace. The only downside for me was the issue of reading it as an eBook. In print, there'd be no issues, but I struggled reading all the text in such a small space. There was no chance of making it out on my eReader, as I couldn't adjust the page size, so I opened it on the PC instead. Even then I could only go full-screen with the software, no larger, and it was still a bit of a struggle to read the dialogue; I did a great deal of squinting. I got by, but it wasn't entirely comfortable. So if you are planning to give the story a try, I would suggest going with a print copy, or else choose an eBook format in which you know you can really zoom in if need be. I'm not deducting any "points" for this problem, though, so the book still gets a four-star rating.